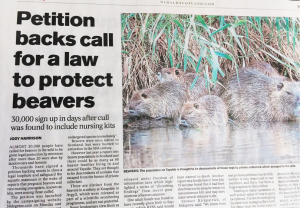 Together we did it – beavers in Scotland are going to be protected by law! 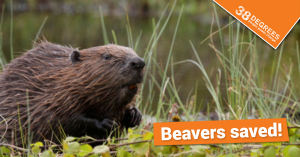 The news comes after more than 35,000 of us signed a petition calling for the Scottish environment minister to stop these creatures being shot willy-nilly. It’s moments like this when it’s clear what people-power can achieve. So, while we all celebrate this good news, let’s keep one eye on the future. There is still plenty to do to make Scotland the country we all know it can be. 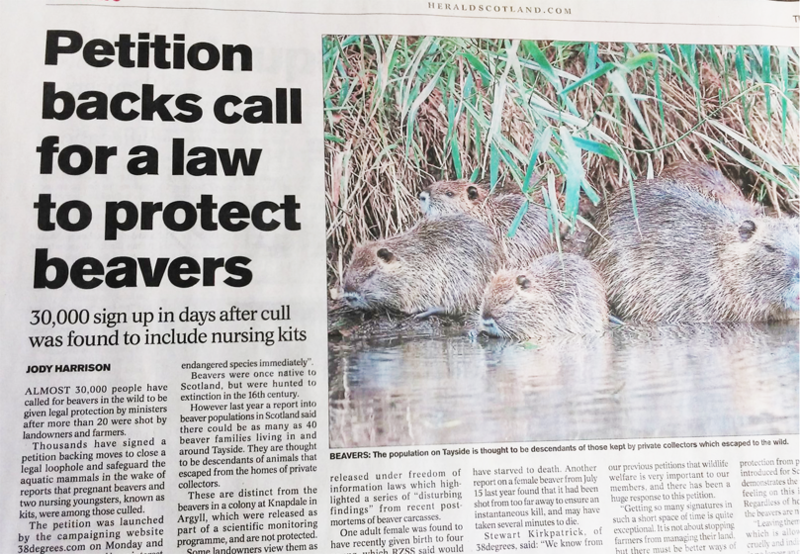 We made headlines across Scotland to put the campaign in the public eye – like the one below! Together we have saved Scotland’s beavers. Will you chip in just the price of a coffee a week so that, together, we can keep winning the campaigns that matter to us all? 38 Degrees doesn’t have any big corporate donors, so everything we are able to achieve together is thanks to fivers and tenners from people like you. The laptop I’m using to write this e-mail and the office I’m sitting in – it’s all thanks to donations. Will you chip in just a few pounds a week so that, together, we can keep winning the campaigns that matter to us all? Let’s keep making Scotland a better place for all of us!